I was browsing through the CNN iPhone app today and noticed that I was seeing web scripting code instead of the actual ad. At first I thought it was an ad from some cool startup trying to attract programmers :). But at the end, I concluded that this was an incorrectly functioning ad module on the CNN iPhone app. 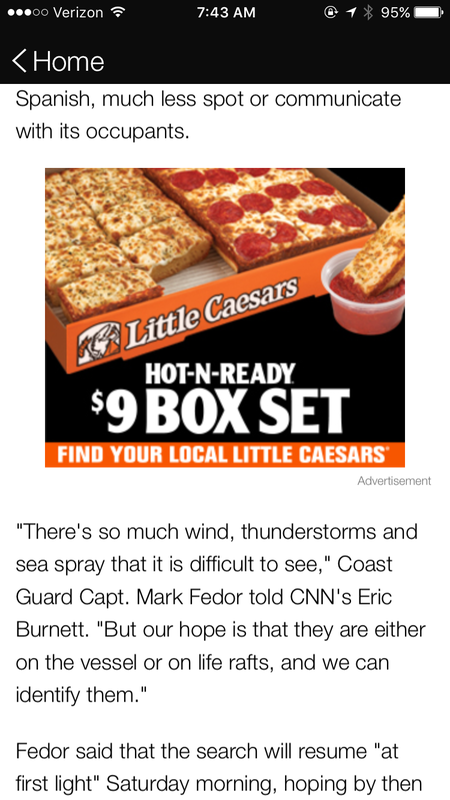 The CNN iPhone app dev team should probably update the ad module to display a generic ad image or message instead of the code in cases where the ad display fails. Screenshot 1: Example ad code being displayed instead of the actual ad. Screenshot 2: What a working ad should look like. Note: Looks like it was a Symantec/Norton ad which did not get displayed. 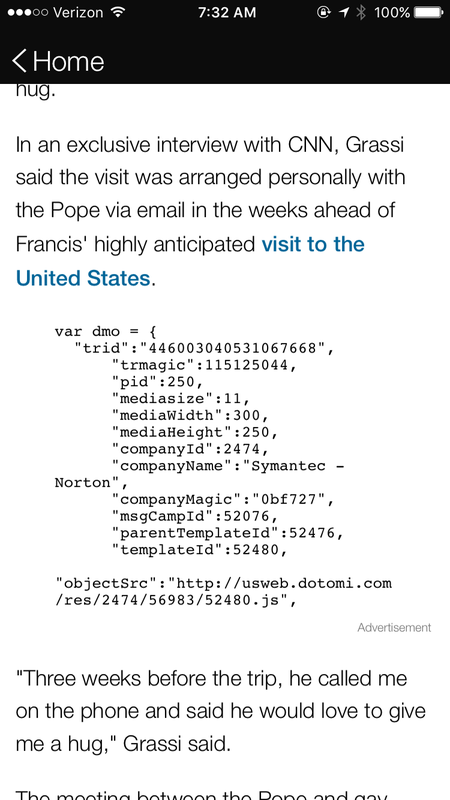 Also, dotomi.com (now ConversantMedia.com) appears to be the marketing agency which delivers the ads.